The worst day of my life! February 27, 2009 I received the news, I had a tumor on both ovaries and ascites in the abdomen. I would have to see an gyn/onc, not exactly the news I wanted to hear. My doctor was visibly upset with this news so I knew that it definitely wasn't good. I broke down and just wept in the office and when I finally got myself together I headed home. I called my husband and gave him the news. He came right home to be with me and told me not to worry it could be nothing (ha! ha!) I think we call that denial! I got right in to see the gyn/onc and he said we won't know for sure if it's cancer until we operate and test it. However, by his demeanor I could tell he already had a pretty good idea. My husband and all my children were with me on that day for support. I know I was really blessed to have such a support team with me. March 4, 2009 was the big day. The day that would change my life and who I am forever. 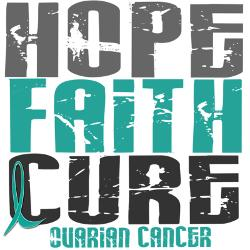 I was diagnosed with stage 3 C ovarian cancer. After optimal debulking I was going to endure 6 rounds of chemo and hopefully stop the beast within me. Six weeks after my initial surgery I had a bowel obstruction and needed to have surgery again. The doctor was great, he opened me up on the same incision, so I only have one scar from pubic bone to rib cage. While he was in there he decided to put in a peritoneal port in case I needed IP chemo along with my IV chemo administered through a power port! Who knew about all these fancy ports? Two and a half weeks later I got to go home. Very weak, but very hopeful that I'd be one of the lucky ones and survive this BEAST! 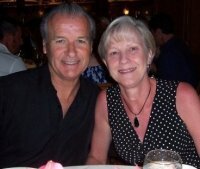 ​ The two biggest fears in my life were that I would get Cancer and Death!!!! How do I process this information? I now am experiencing this unbelievable peace coming over me. God was whispering softly that He loves me and is in control. What a load off my mind! This was the first time in my life that I was not afraid of death! I now am ready to face the biggest physical battle of my life, beating cancer, and the most exciting spiritual journey of my life, facing my mortality (death). I am thankful for the inspiration and encouragement from my dear husband. I know he must have been afraid also with not knowing what was ahead for us. 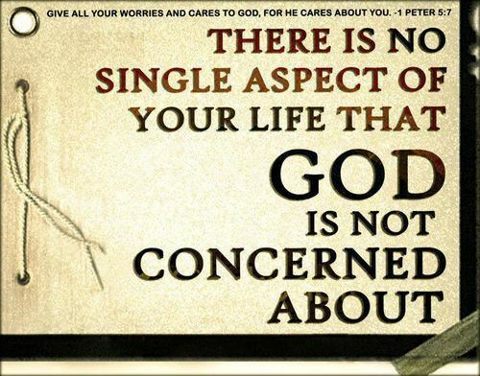 He never wavered in his faith and that God was in control and all things would work out as God planned. I gained so much faith and strength from Claude. When I was in the hospital the best part of my day was just before Claude would leave at night he would hold my hand and pray for God to heal me and keep me. That so reminded me of my Dad who I miss so much. I always admired my Dads faith and wished I could experience the same. Guess what, I know now the strength of your faith comes from the depth of the valley you are called to go through. So when I am afraid, His love calms me, when I feel alone, He surrounds me with His presence, when I'm in pain, I can feel His touch, when I lose heart, He restores my soul. God even knows how many hairs are on my balding head. 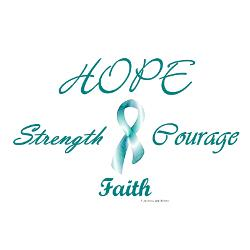 As of today October 2014 I have had two recurrences and am currently having chemo treatments again. It is getting harder and harder. But with the lord's help, He will be by my side all the way. Yes I have cancer but I know that God is in control of everything. So whether it's chemo or surgery, I am at peace because I know that God is with me and He makes NO mistakes.